It used to be warnings about cell phone safety were deemed conspiracy theory or quack science. Not anymore — the American Academy of Pediatrics (AAP) now recommends limiting cell phone use for children based on a large government study linking cancer with cell phone radiation. The study found exposure to wireless radiation significantly increased the rates of highly malignant heart and brain cancer in rodents. In other words, cell phones caused cancer in these animals. The cells affected in the research animals are the same cells in humans that develop into cancers in adult cell phone users. These results were alarming enough to prompt the AAP to warn parents to limit children’s exposure to cell phones and wireless devices. The study also showed cell phones damaged DNA in brain cells. 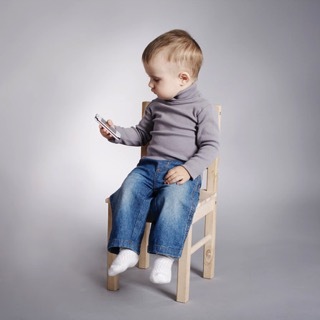 The risks for cell phone cancer damage are believed to be higher for children than adults. Children have thinner skulls, which makes it easier for cell phone radiation to penetrate and absorb into a child’s brain. Children’s nervous systems are also not fully developed and thus more sensitive to damage. As a result of this information, the AAP warns adults not to keep cell phones on or near their body and that a child’s exposure should be limited or avoided. Sadly, it’s almost impossible to imagine a world without cell phones these days, despite the risks. Choose text messaging as much as possible, and for calls, use speaker mode or hands-free kits. Hold the cell phone at least an inch away from your head. Do not carry your phone against your body. The amount of radiation you absorb that way may be at an unsafe level. To watch a movie on your phone or tablet, download it first and switch to airplane mode to view. This will help you avoid unnecessary radiation exposure. A weaker cell signal means more radiation because the phone has to work harder. Wait until you have a stronger signal before using your phone or tablet. Avoid making calls in areas where the phone has to work harder for a signal through metal, such as in cars, elevators, trains, and buses. Do not let a child use a cell phone as a toy or for teething. Fortunately, cell phone cancer risks are now being legitimized through new research, thus increasing awareness. For more advice about general cancer prevention through nutrition and lifestyle, contact my office.